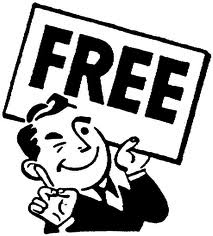 Inbound Marketing is giving away valuable content for free in order to attract an audience and earn the right to sell them something. This may not be exactly what firms like Hubspot who are experts on the topic use, but it is how I think about it and it will work well for this discussion. Just enough free to get the job done and charge for the rest? Intangible costs and friction like registration landing pages you go through over and over again to get one white paper, webinar, or slide show at a time? I’ll bet John will have a hard time defending those alternatives, I know I would. As an aside, ironically, I had gotten a new Hubspot email (one of two this morning, easy there boys) offering me a white paper that looked valuable. I clicked to the landing page and was immediately presented with an old style fill in the form to get the content. Now I know you want to capture the individual’s contact information, get them on your house list, yada, yada. But I’m on Hubspot’s list–they’re emailing me for cryin’ out loud and I haven’t opted out. They can tell I’ve clicked through with silent instrumentation. This is an artificial and annoying barrier that cause me to think them slightly less enlightened and to click off the page and go on about my business. They either did it that way through sloth or because they are trying to “qualify” me by making me do the work of reentering my information. Either way, it cheapens the Inbound experience. If you’re going to be Inbound, be inbound. Once you get someone’s information, treat them as you would want to be treated. End of rant, these guys should know better. It doesn’t hold the content consumer accountable. If it’s free, they can sign up and then no-show. This is a variation on the VP of Sales contention that you have to charge a lot or the customer won’t respect you. My problem with this perspective is it reflects artificial scarcity and a presumption about the stage that the prospect has reached that isn’t justifiable. When you’re engaging in Marketing, you’re not yet at the stage where you’re entitled to demand a price. You’re not ready to close a sale. You’re earning the customer’s trust and any artificial scarcity or cost interferes with that trust, just as my experience with Hubspot made me trust them a little less. With respect to artificial scarcity, the history of any market is a march to commoditization unless the participants find a way to create defensible unfair advantage that limits competition and creates artificial scarcity. Other than via legal entanglement, content is not amenable to unfair advantage through limited availability because it can be reproduced and communicated too easily. Your only opportunity for unfair advantage is to make your content better than the other guy’s. Leaving aside all that, think about monopolies, patents, record labels and other cases of successful artificial scarcity. Do you want your marketing to reek of that? As I said, you’re earning trust, not selling patent-pending titanium toilet seats to the Air Force. It would be awesome to see my two marketing blogger idols, John and Seth Godin, debate this proposition. My impression from Godin’s writing and tactics for self-promotion is that he totally gets this business of creating unfair advantage through better content and then making it even more unfair by aggressively giving it away until it goes viral. Make sure you are accountable for your content and it is so good that it is irresistible. And then give it away. That formula will knock the cover off the ball of Inbound Marketing every time if you can deliver. My problem with this argument is two-fold. First, it goes down the traditional Mad Men marketing and sales path of assuming consumers are sheep. I know it can be easy to fall into that trap, but John knows better. Consumers are better judges of your content than that. The ones that matter know a “shoddily veiled pitch fest” from useful content. Go back and read the endless admonitions to content creators for Inbound Marketing about delivering value. If you’re not delivering enough value that it’s obvious to consumers, you may have accidentally produced a pitch fest. Blame yourself, not the consumer. Value is in the eye of the beholder, not the author. Finding great content is hard. If it wasn’t there wouldn’t be so much controversy over search, there wouldn’t be so many bookmarking services, and there wouldn’t be a long tail. The great content would be obvious, plentiful, and easy to come by. Instead, there are relatively few Duct Tape Marketing or Seth Godin blogs, so we read them incessantly and don’t take them for granted. This brings me to my second point–be aware of the state of the free content ecosystem in your space. John Jantsch’s Duct Tape Marketing content plays in the most crowded on-line space that there is for great free content–marketing. The bar in that space is absolutely sky high–so high there is almost no oxygen up there. Social Media, Email Marketing, Inbound Marketing, Affiliate Programs, on and on. There is lots of great marketing content available free. Whenever a content market gets that big and there is so much great content available, value is eroded. You can’t take it back by deciding not to give it away. There’s too many struggling for competitive advantage by giving their great (or even pretty good) content away. Markets are eating their own dogfood, drinking their own champagne, and practicing what they preach. It’s tough love, but you better get over it. I’ve come to believe this is a key strategic point for entrepreneurs to consider. Not every space is as crowded as the Marketing space. In fact, very very few are. Most spaces are still very much starved for great free content. For entrepreneurs, when you’re evaluating a space, do a careful evaluation on your chances of becoming an early Thought Leader there through your content. You want to be a big fish in a small pond where the bar is set extremely low for your content. I’ve nothing new to say here other than that you are accountable for your content and you have to make it so good that it is irresistible. If you don’t and you’re in a crowded content ecosystem like marketing, you’ll never be noticed. May as well go buy banner ads on AOL or Yahoo. If you don’t and you’re one of the first fish in a small content pond, you’ll be noticed but vulnerable to a fast follower. You will also miss igniting the level of passion for your content that you may otherwise have had, which will slow people passing on and talking about your content and prolong the window for the fast follower to take you out. First, if your only business is content, you need to think carefully about your strategy. In the ideal case, you have something else you’re making the money on besides the content. Inbound Marketing is a wonderful no-brainer if you do have something else to sell. Second, even if you don’t have anything but content to sell, who says it’s all or nothing? Will they pay to see you deliver your content directly? Will they pay for you to apply the mind that produced that great free content to their problem? Will they tolerate ads in the content? Will they pay to have your content in a different format, perhaps one that’s easier to consume or more compact? Thinking of books that are compendiums of content that already exists where curation and packaging is the value. Seth Godin is a master of this. He gives away books he’s actively selling. He encourages buyers to give their book to someone else when they’re done reading it. It works for Godin, why not others? When people are invited into a community where everything is free, there’s actually less chance of building a strong community. Community builds when there is value. That has not been my experience in the least, and I’d like to see such a community to understand what it’s real underlying problems are, because they’re not due to “free”. Let me give two strong examples: Stack Overflow and Quora. Everyone reading this must have heard of one or the other. They’re completely free, they are strong communities by any measure I have ever seen, and they deliver huge value. Free has some really odd dynamics where behavior and community are concerned. People will polarize around and defend free in ways that you just don’t see for things people pay for. Try to make your living attacking virtually anything Open Source and you will see. Free begets fanaticism because it creates obligation. If you give somebody something for free, they feel an obligation to reciprocate in some way. If they pay you, however little, they have discharged that obligation. This is problematic for companies that want to be the cheapest offering in their space. To me, they attract the worst of all worlds. They don’t get the fanatical support of free, and they’ve attracted a legion of penny pinchers who feel no obligation and who are ironically much higher maintenance than the sort who buy premium products. People generally have good intentions. Give them a lot of valuable free content. Set them up in a free community where they can get free help and give free assistance and I have seen magic happen multiple times. If you find yourself in a space where no such resource exists, stake it out quickly–it will turn into a gold mine and you won’t be sorry.